I served as a Combat Communicator and Communications War Planner for 10 years in the United States Air Force to defend and protect against things like 9/11, which happened and can happen again, and which cost us over 3000 lives. I served to defend and protect every citizen’s right to freedom of speech, freedom of religion or to choose no religion, the right to keep (own) and bear (carry) firearms for personal defense and for national security, the freedom to peaceably assemble and to protest or petition the government, freedom from unwarranted search and seizure and to a fair and speedy trial, and the freedom to pursue one’s own happiness without infringing on the rights of others. But the greatest reason I served was, and still is, to protect and defend the American Ideal that is the strength, the backbone, the framework, the basis behind all the rights and freedoms we have. It is this American Ideal that is forged and founded in our nation’s Declaration of Independence and the Constitution of the United States of America, and which is represented by our Flag. The American Ideal represented by our Flag is bigger than the men and women who founded it, and it is bigger than current American society and it is bigger than and goes far beyond U.S. government administration and authority. The American ideals that are embodied in our Declaration and Constitution are high and lofty ideals of equal opportunity, justice, liberty, freedom to pursue one’s happiness, beliefs, and to live as one chooses. Even though these ideals were founded almost 100 years before slavery ended, they were still the ideals that led to the changes that freed slaves, and they were the ideals that led to the changes that gave equality and freedom to women, and to others—and they are the ideals that will continue to lead to equality, justice, liberty and freedom for all Americans of every race, creed, color, belief, origin, gender, and more. Although our U.S. societal, judicial, economic, and government systems will sometimes still show bias, and our government agencies and administrative and legislative bodies do not always manifest the highest ideals and do not always do things fairly because of individuals in power, that does not taint the higher ideals represented by our Flag and delineated in our Declaration and Constitution. The Flag does NOT represent the U.S. government, it does NOT represent current American society, the police, the judiciary or legislative powers, our economic system, nor any other systems of administration and government. No—the Flag represents the higher ideals that we all aspire to—a more perfect union where all citizens have equal opportunity, freedom, justice and liberty. The American ideals represented by the Flag are higher, better, and bigger than the U.S. government; and We the People should hold them accountable to that. The systems and administrations of men come and go and change and blow with the wind, but the ideals represented by our Flag—our Declaration and Constitution—remain a steadfast and faithful beacon of light to continue to guide us to a better future for all. I stand for the Flag because it represents the higher ideals of equality, justice, and liberty we are all trying to achieve. I served to defend and protect the rights and freedoms by standing up and putting my life on the line for the higher ideals of the American way, represented by our Flag, our Declaration, and our Constitution. So when you stand for the Flag during the playing of our National Anthem, or at any other time, please do not stand simply just to honor our veterans or to honor our military. Please do not stand in honor of the sacrifice I made to defend and protect our American Ideal, nor for my fellow veterans who did the same, nor for all the champions of American justice we have seen over these many years. We are all imperfect men and women who simply did our best and served. No, instead, when you stand for the Flag, please stand because you believe in and support the higher ideals represented by that Flag—the ideals that are bigger than our government and society. Stand up for the higher American ideals that will lead us and guide us to more equal opportunity, justice, liberty and freedom for all. 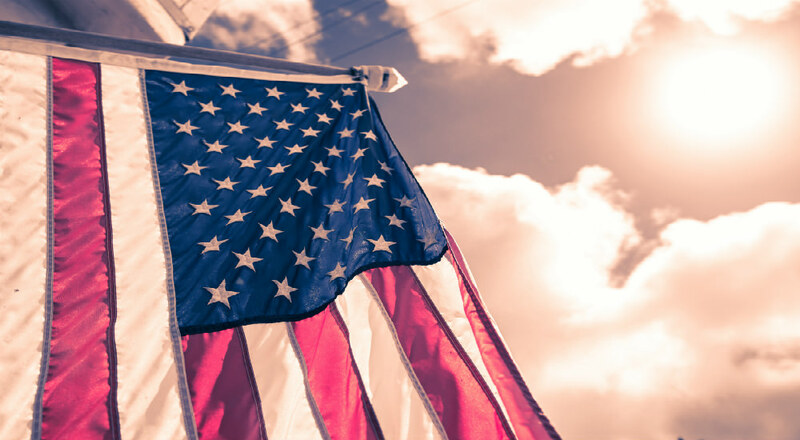 Stand up to honor those higher ideals and as a declaration that you continue to aspire toward them with all Americans for a better and more perfect union, a better United States of America. Although the prevailing attitude and heart in America is one of equality, justice, and liberty for all, there certainly are major challenging problems in American society in pockets and locales coast to coast where racist biases have not been eliminated, where systems still remain in place that are prejudicial of some races, creeds, colors, origins, religions, beliefs, gender, etc., and where government administrations and agencies still suffer from inequality. But none of these problems are the fault of the Flag and the higher ideals it represents, indeed, it is our Flag that actually stands against them and calls men and women everywhere to rise up to that more perfect union and to where we can work together to overcome them. The Flag represents equal opportunity, justice, freedom, and liberty for all, it is what rallies us together to aspire to and achieve these higher goals. So if you take exception to any of our current societal problems, like police brutality, inner city poverty, greedy corporations, extremist and violent white supremacy and black power organizations, anarchists, persecution and oppression of Christianity, inequality of pay, political correctness and infringement on freedom of speech, and many more, then the way to protest these things is not to dishonor the Flag and Anthem, for then you are dishonoring the very thing that represents the higher ideals that supersede these societal and governmental problems and which call men and women everywhere to rise up and overcome them. The Flag of the United States of America is our ally against the ills and problems of our government and society and our systems and administrative bodies. We should rather want to stand up for the Flag and vocally and visibly hold our government officials, public servants, administrative and legislative bodies, and our society to these higher ideals and standards that serve as a beacon of light calling us to higher and better ways. When we stand for the Flag, we stand for equal opportunity, justice, freedom and liberty for all. David E. (DE) Navarro is an author, poet, editor, publisher, analyst, and minister who lives in Tucson, Arizona. He was born in Newport, Rhode Island, but grew up in inner city Chicago, then rural Crown Point, Indiana and finally suburban Munster, Indiana until he went to college at Purdue University in West Lafayette, Indiana. In 1980 he became a published poet in the Purdue Exponent Literary Edition. 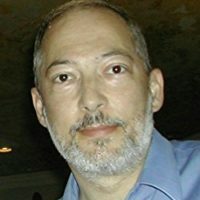 He has worked in the writing and editing field for over thirty years. Hundreds of his articles, essays, and poems have been published in various magazines, publications, literary journals, anthologies, and online. See his Amazon Author Page for a list of all the books where his work appears. He manages forums where he teaches writing, editing, and poetry. Latest publications: Dropping Ants into Poems, 2017 & This Is The Way: Walk Ye In It, 2018.